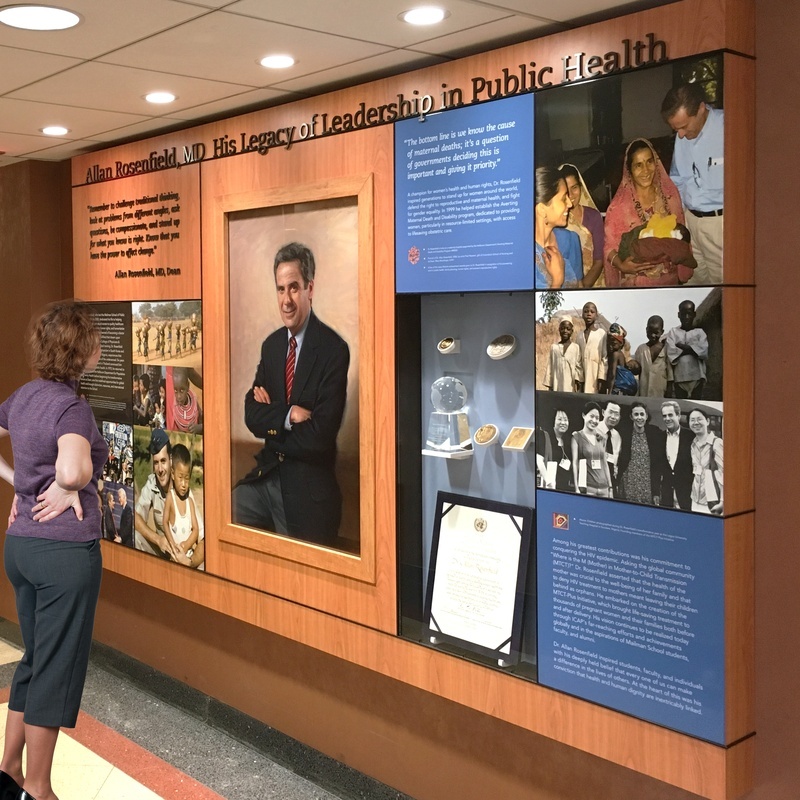 Unveiled this week, the Allan Rosenfield Tribute Wall designed by C&G Partners commemorates the public health legend and founding dean of the renowned Columbia University Mailman School of Public Health. 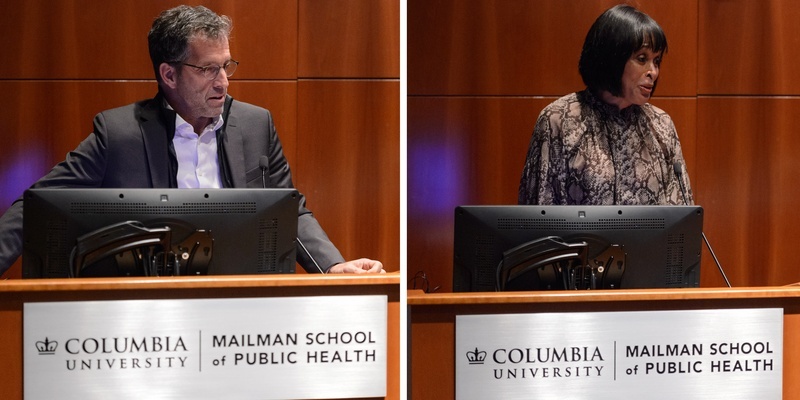 Along with Rosenfield's family, in attendance at the dedication ceremony were fashion icon and amfAR chairman Kenneth Cole, former Planned Parenthood President Faye Wattleton, and others who shared the late dean's commitment to protecting women's health and public health worldwide. C&G was privileged to plan and design the project. Of all our work, it might have the smallest footprint, but the biggest heart. 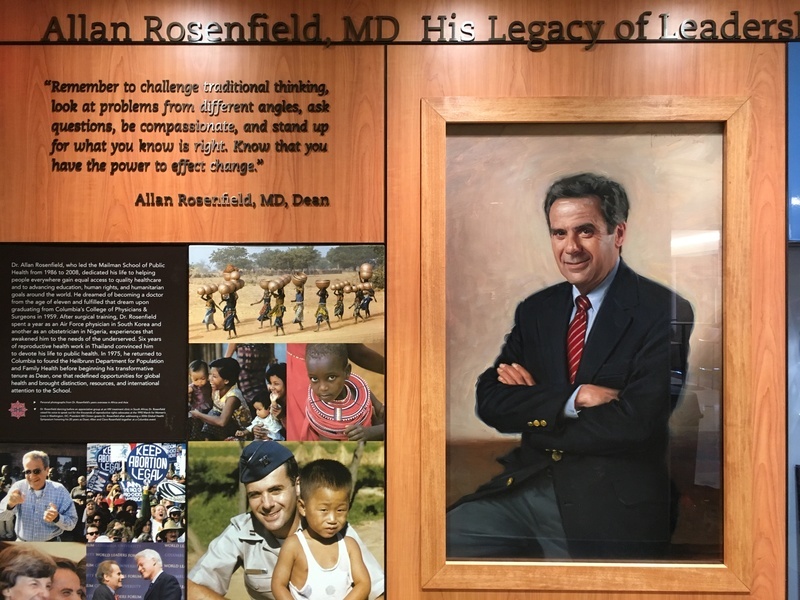 The wall pairs text panels (written by Rosenfield's wife Clare, Wafa El-Sadr, and Lynn Freedman) with poignant photographs capturing Rosenfield's altruistic works in Thailand, Nigeria, and South Korea. Foregrounding the display are an oil portrait commissioned by Mary Mundinger, Dean Emerita of Columbia’s School of Nursing, a small sample of Rosenfield's many awards, and relief typography with an oil-rubbed bronze finish. Clare Rosenfield says she had Mailman students in mind when developing the wall. 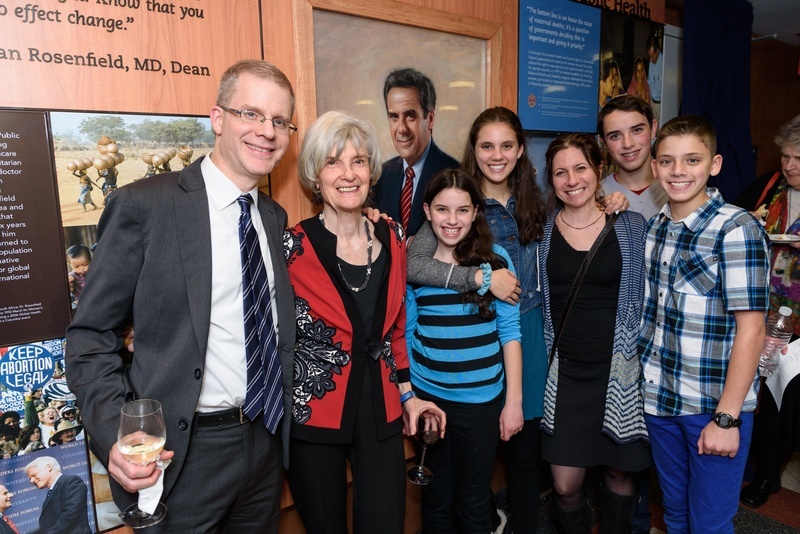 “I initiated this project because I wanted the students who entered the Allan Rosenfield building to know why the building bore his name and to be inspired,” she says. “He always said, ‘The challenges are great, but together we can make a difference,” according to Public Health Now.